Give credit where it's due with this Charcoal Canvas Credit Card Holder from Gentlemen's Hardware. 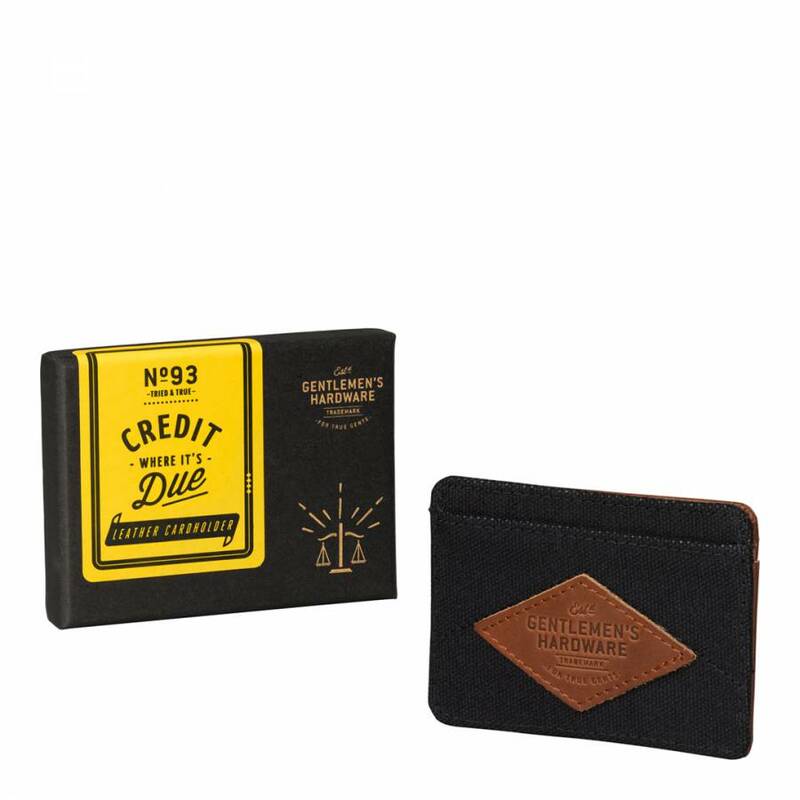 The slim, leather and canvas design features three card spaces and is perfect for keeping your cards with you on the go. Packaged in a kraft box, it makes a stylish gift for any gent.